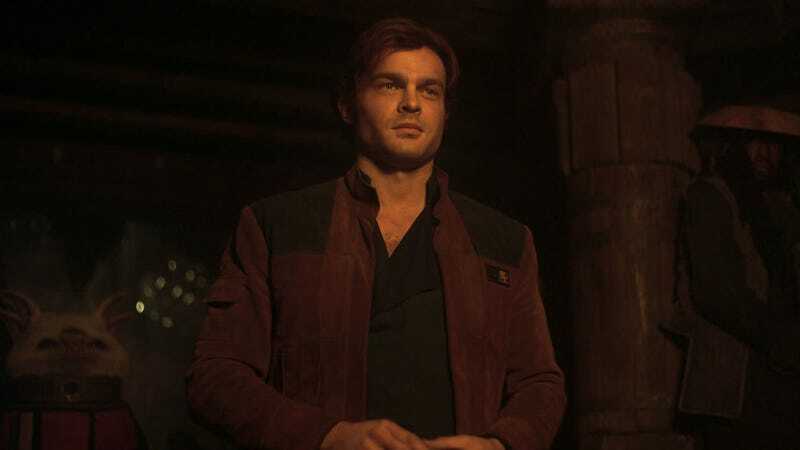 The much-shuffled Brave New World TV series just got a big boost with some major casting news: Alden Ehrenreich, last seen piloting the Millennium Falcon in Solo: A Star Wars Story, will play lead character John the Savage, the outsider who upsets the status quo in the latest take on Aldous Huxley’s classic dystopian novel. There’s no word on whether or not the series—which will be written by Fear the Walking Dead’s David Wiener (who will also showrun), Grant Morrison, and Bryan Taylor—will alter the setting of Huxley’s 1932 novel about a utopian society in the year 2540 that’s not quite as utopian as it seems (are they ever?). But even if it doesn’t, Brave New World’s futuristic themes (much like those of George Orwell’s 1984) still have a way of feeling awfully contemporary. The series is set to run 10 episodes, with Black Mirror: San Junipero’s Owen Harris (one of the show’s executive producers, along with Morrison and Wiener, among others) directing at least the first installment. With Ehrenreich aboard, we’ll no doubt be hearing even more about Brave New World as it moves toward what sounds like a streaming debut, likely sometime next year.